Many wrestlers struggle with staying in their weight class. 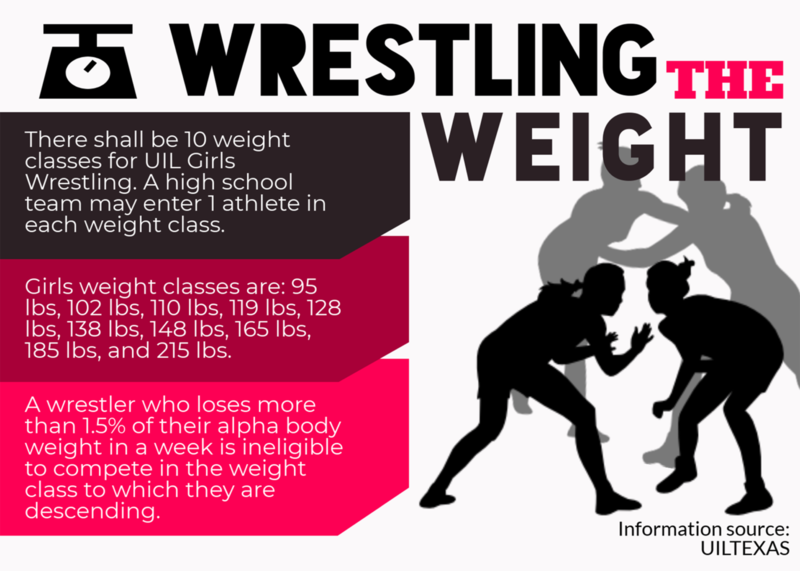 Sophomore staff writer Neha Desaraju talks about the impact weight classes have on female wrestlers. 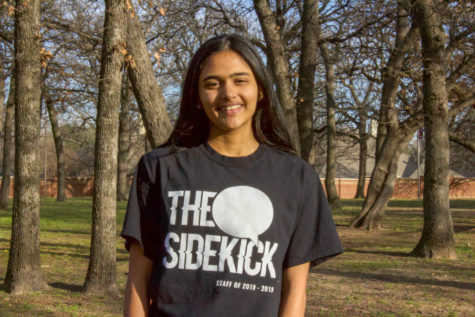 Every week, Coppell High School senior Khushi Khandelwal tracks her weight methodically. As a wrestler, she has to maintain a certain weight range, known as a weight class, in order to compete. Many times, this means losing weight. Most of the time, Khandelwal is only losing water, which does not have a permanent effect on her weight; she gains this back mere hours after she eats. Instead, she wants to be at the lowest weight possible during weigh-ins so when she does gain the pounds back, she will most likely be heavier than her opponent, giving her an advantage. “[Wrestlers] might lose a little water weight so they can make weight that one day but it’s nothing that’s going to stick,” CHS athletic trainer Yvette Carson said. To do this, Khandelwal starts the beginning of the week with lots of water and a healthy meal or two, slowly eating less and less until the day of the tournament. She also runs with multiple layers to sweat out water. And this is not uncommon among wrestlers, especially girls. Other girls have a similar mindset. The girls also lose weight naturally through lifting or running during practice, so “it’s not always skipping meals,” according to Massaviol. According to Carson, losing weight is much harder for girls than boys, since a female body reacts differently to weight deficits at different times, sometimes even putting on extra weight as padding. However, both Carson and wrestling coach Chip Lowery agree that in wrestling, there is a difference between cutting weight and losing weight. Lowery notes cutting weight is much different from losing weight, which happens naturally over the course of the season as body fat converts to lean muscle mass. It is also more permanent than cutting weight, which occurs primarily by losing a large amount of water weight. “Running does that; yes, you’re going to sweat, and yes, you’re losing water at the same time,” Carson said. However, the average person can lose up to 2.5 pounds just from an hour of exercise, and Carson stresses that just because you lose weight in water does not mean you are losing weight. For some wrestlers, losing weight, either over the course of the week or year is something of both a mental game and a source of pride. However, skipping meals may not be the best way to cut weight. Parekh says to lose weight, she focuses on the quality of calories and food. “The short period of time is what gets most people. It leads people to drastic measures. [Losing weight] is a lifestyle choice,” Parekh said. 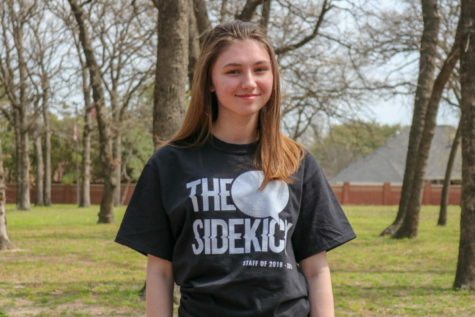 Despite the widely publicized reports of the dangers of rapidly losing too much weight, for many Coppell girls’ wrestlers, maintaining weight has become more of an attainable goal than before joining wrestling. In a number of combat sports, losing weight in an abnormally short time is a very real, controversial issue, but the coaches at CHS emphasize they do not require athletes to do things they are uncomfortable with and want to avoid their athletes cutting weight.